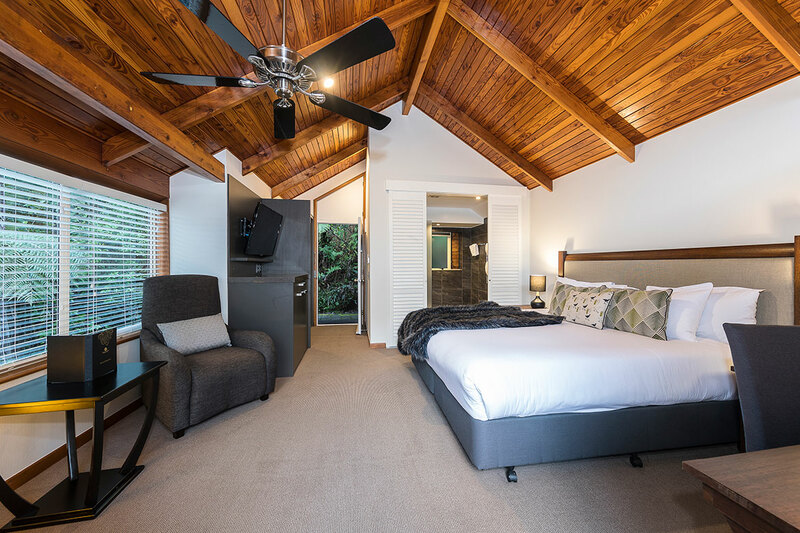 Guest accommodation at Grand Mercure Puka Park Resort cleverly combines spaciousness, sophistication and privacy. 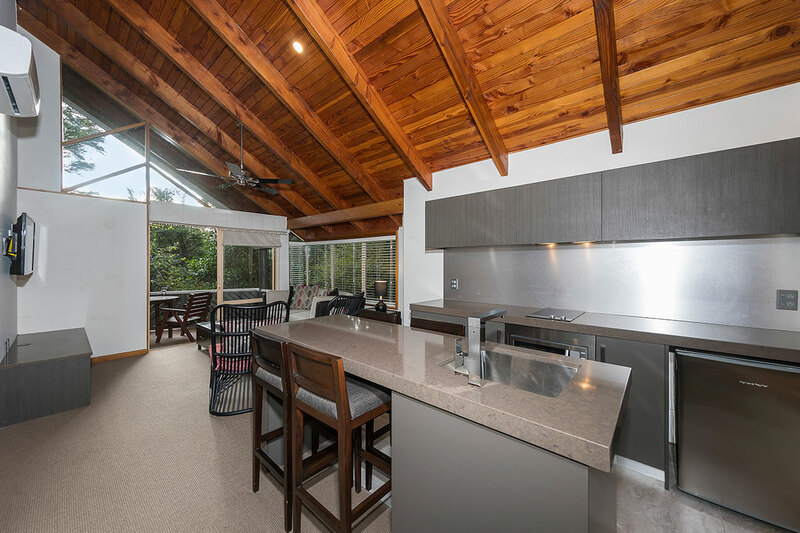 Semi-detached standalone chalets embedded in the foothills of Mount Pauanui are nestled amidst silver ferns and native forest, creating the ultimate sanctuary to relax in grand comfort. Furnished with timeless elegance and sophistication, our 48 chalets are appointed with all the comforts and luxuries you might expect of your own private retreat-style getaway. 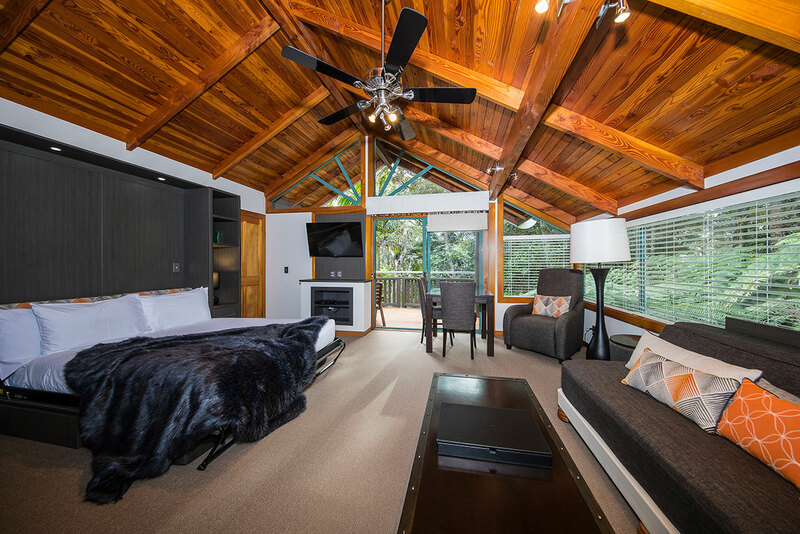 Each chalet has a secluded balcony from which to enjoy the scenery, serenity and birdsong of the magnificent New Zealand native bush. 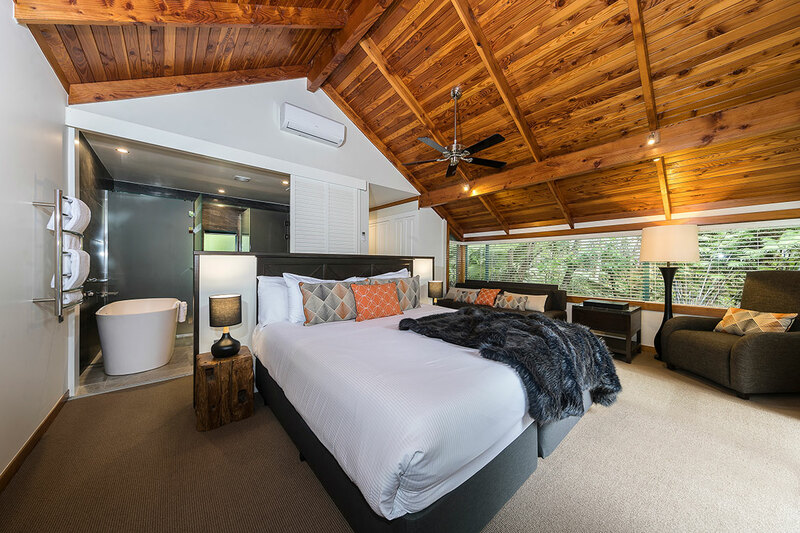 Grand Mercure Puka Park offers a choice of rooms, all with private balconies, treetop vistas, elegant ensuites and contemporary essentials. NOTE: Steep slopes may apply to access some rooms (please advise if you have any mobility issues). A pick up/drop off buggy available from 7am to 10pm daily. Rooms near reception are 46-49 and 34-45 with 44 and 45 being the closest.